Send an email or a postcard….encourage your student! When my daughters started college, I was really good about going to the store and buying cute cards, postcards and care packages and sending them off in a timely manner. After their freshman year, I wasn’t as good. Don’t get me wrong, I would send cards and care packages every now and then but I sort of had this mindset that they weren’t freshmen any more so they probably didn’t need letters and care packages as much. 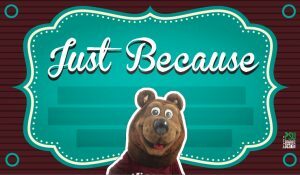 Well, the students I work with here at Missouri State have set me straight and informed me that it doesn’t matter what year they are, they still want mail and care packages. I did want to find some alternative ways to let my girls know I was thinking about them without having to go shopping or to the post office. I started finding cute images and inserting them in emails and sending those off. It was quick and instant encouragement for them. I asked my daughters if they appreciated those and they said they liked getting them because they knew I was thinking about them in that moment. However, they also noted that a gift card or a box of goodies was still appreciated. Okay, I got the message! 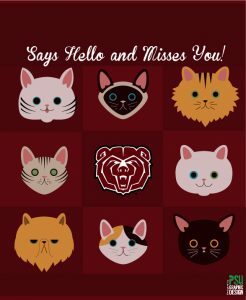 When I started working at Missouri State, I thought it would be nice to offer some images family members could insert in an email, add a message and send off quickly. 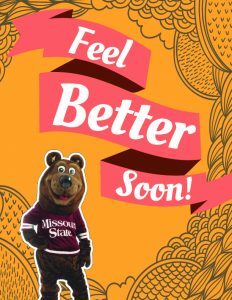 So with the help of the Plaster Student Union graphic artists (all MSU students who do fabulous work), we came up with a few images you can send to your student. You can download these images here. My daughters are both out of college now (my youngest recently was married) and I still send gift cards, postcards, letters and emails to them on a semi-regular basis. I encourage you to do the same. I know I love to get mail and emails so it’s nice to send that to others. In fact, I’ve sent the images above to my daughters even though they didn’t go to school here, they are fond of #FlatBoomer! Right before exams, I’ll give y’all the opportunity to send a “Good Luck on Your Exams” card is sent from my office. We also offer Valentine’s cards. Let me know if you have ideas for other images you might like to send! I can work with our design students to get those done. 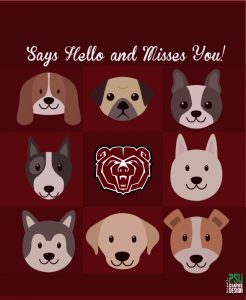 You can contact me at pchildress@missouristate.edu or at (417) 836-3060. I look forward to hearing from you!